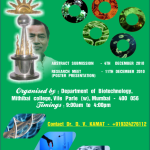 We cordially invite you to the 6th Research Meet being organised by the Konark Group of Companies and Wilson College, Charni Road, Mumbai. 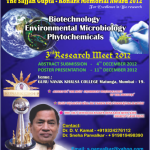 Background: “The Sajjan Gupta – Konark Memorial Award (SGKMA)” was instituted in 2010 along with a rotating Trophy, for the best research paper in the field of Biotechnology, Environmental Science, Microbiology, Life Science Phytochemicals. This award is instituted in the loving memory of Late Shri. 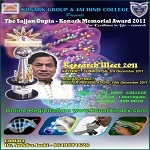 The Sajjan K. Gupta, founder of Konark Group of Companies, who had a vision to encourage research and innovation in young scientists. 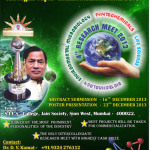 He firmly believed that the future of any industry lies in research& development in basic sciences. K. C. College founded by Late Principal K.M. Kundnani, celebrates its diamond jubilee this year.